The Irish deaf community has felt very isolated in the past and has suffered a decline in living standards. 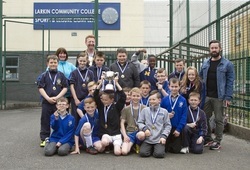 The funding to the Irish Deaf Society was granted every year for the past 11 years. Now it is being withdrawn. I was grateful to have the opportunity to highlight an issue that is causing a great deal of concern, disquiet, and dismay among the deaf community. I am very much aware of the work done by Deaf Village Ireland in Cabra and the need for more engagement by organisations with the deaf community. This decision follows the decision by the Minister of State at the Department of Health, Deputy Kathleen Lynch, not to grant official language status to Irish Sign Language. The IDS's advocacy service is the only service whose entire staff is proficient in that language. My Oral question was high on the list and so was taken by Minister Flanagan; I was urging that the Magdalen Laundries would be included in the Commission of Inquiry. The Irish Human Rights Commission and the Committee Against Torture have raised the continuing failure to investigate abuse in Magdalen laundries. There are many connections between mother and baby homes, industrial schools and Magdalen laundries. Justice for Magdalenes is an organisation that works with survivors of the Magdalen laundries and it submitted 793 pages of survivor testimony to the McAleese committee. However, none of this appeared in the report because the committee's terms of reference related to State involvement with the institutions. As the Minister pointed out, the committee did this but unanswered questions remain. We now have an opportunity to collate the evidence and testimonies and get things right in order that there can be real closure. Raising issues of values - of need for Government Policies to work for ordinary people and the issues of inequality of taxes. 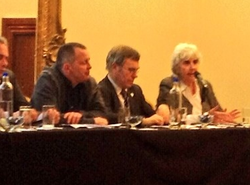 Dublin Central Joint Policing Committee; Severe anti-social activities. 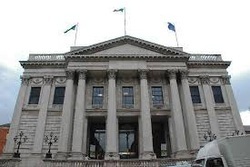 Last Monday I attended the Dublin Central Joint Policing Committee in City Hall. Reports given by Supt Sean Ward and then by Mel from the North Inner City Drugs Task Force; wide range of issues discussed including certain areas that are experiencing severe anti-social activities and plans to deal with this to protect the residents. One of my issues was to check about the number of Gardaí, including Gardaí Reserves, who have done ASSIST Training and Safe Talk. It was the last one for Central Area Manager Charlie Lowe who will be retiring the end of July. He has been a formidable manager, great depths of knowledge on all areas and very 'hands-on'. He will be well missed. “I wonder what it is doing for our international reputation that the national parliament, on several days this week, has discussed Garth Brooks at a time there is a homelessness crisis in the country and there are international incidents, such as that referred to in Gaza, and hundreds of girls being abducted by Boko Haram because they want an education.” . . . There are those in addiction who want to stop now, not in a few weeks or months time - they could be further in addiction at that stage or, as has happened, dead. Is there sufficient legislation to prevent deterioration and protect our national monuments? Just confirming why Oileán Chléire, Cape Clear, is my favourite place in Ireland - after Dublin that is. Been visiting the island since 1968 and really appreciated the welcome I got from my Cape friends when I was first elected in June '09. Amazing photo from Niamh of basking shark in South Harbour, Cape. 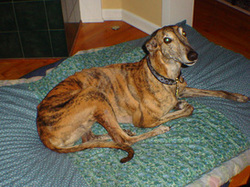 Why should a greyhound owner who is against coursing have to pay fees to the Irish Coursing Club? The Medical Card review has caused considerable distress and anxiety for people when they are being reviewed. As we know, some of them should never be subject to a review because of the type of illness or condition they have. That stress is added to by the wait to see if they will be successful in holding on to their medical cards. 40 years on the relatives deserve to know what happened; they should not have to go to court but there were left with no alternative. How can we talk about animal welfare and condone the mauling, tossing, injury of hares, terriers involved in a most cruel 'digging out' of foxes, snaring and shooting of badgers in the snare & leaving young badgers to die of starvation? 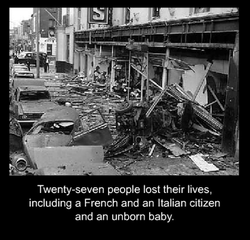 Dublin Monaghan bombings; still no answers to the questions of the survivors and families. Get your family, friends, neighbours to give Mel MacGiobúin, the 'Gregory' Independent, a number 1 vote. The Moore Street National Monument will be compromised if the surrounding area is not restored appropriately in respect of its historical importance. We have not seen results but rather an increase in homelessness, with no concrete plans to put in place a strategy to reduce the numbers who are homeless. For example, people come out of rehabilitation with addiction issues, albeit clean and moving into accommodation that is drug-free. 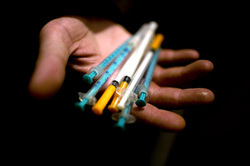 As a result of the crisis, those who still use drugs and are living chaotic lives are imposed on such individuals. The mix is a recipe for disaster. If we go back to the 1930s housing crisis, the banks stopped it being addressed and the issue was not resolved until to the 1940s. The more things change, the more they stay the same. There is great potential for an appropriate restoration and renovation of Moore St for craft type shops, for enterprises like The Paris Bakery and especially for housing. And all of this alongside the street trading tradition so defended by Tony Gregory. In 1979 I did the first leaflet drop with Tony Gregory when he stood in the local elections; his memory lives on. Will the Minister ask Chartered Land and NAMA to donate The Easter Rising Moore St. battlefield site to the nation with the funding necessary for its appropriate restoration? 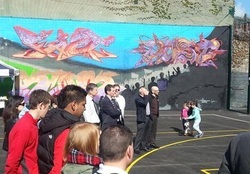 MUGA: An innovative and constructive use of a derelict site and the way to go. I saw lovely lovely young people destroyed by drugs; some found recovery, some still using and I went to the funerals of others. Unfortunately substance abuse, including alcohol, is way down the political agenda. April 9th Why are one in four people now voting Independent? I believe it is because of their connection with communities. 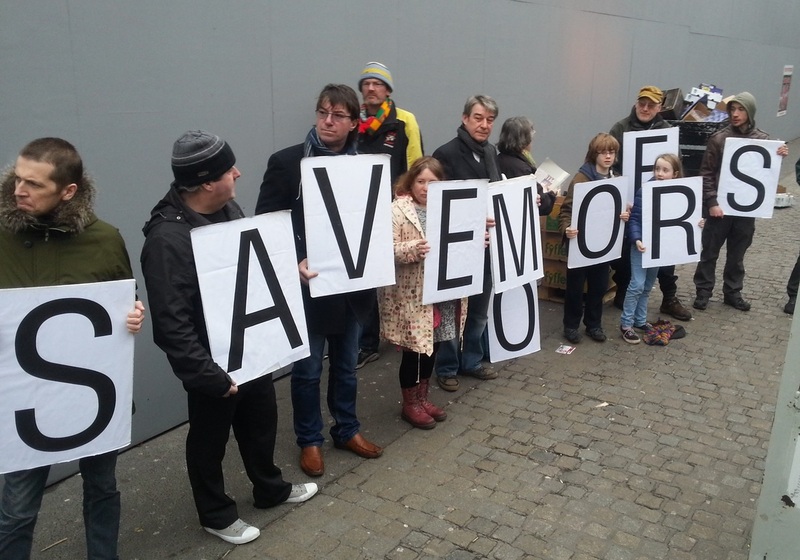 April 7th "I welcome the press release from the relatives which finds 18 Moore Street to be pre-1916. Absolutely vital that an independent survey be undertaken of this most important site." Dr.Liam Weeks who addressed the Independents' Network Workshop, noted that Ireland has 50% of the world's Indpendent parliamentarians. Maureen speaking at the Independent's meeting talked about her 14 election campaigns with Tony Gregory, longest serving Independent TD and the hard but fulfilling work that it has been. Speaking on behalf of the Technical Group, Independent TD Maureen O'Sullivan said Ms McFadden had a positive attitude to the "cruel, cruel illness". 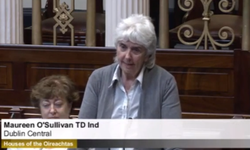 A minute's silence was held in the Dáil chamber for Ms McFadden before business was suspended for 15 minutes. The website for the new Independents’ Network has just gone live and on it are the profiles of those independent politicians and candidates who have signed up so far. The website contains a mix of candidates and elected representatives at Local, National and European level. 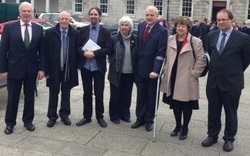 Maureen is the elected Independent Teachta Dála for Dublin Central in Dáil Éireann, the parliament of Ireland. Elected in a by-election in 2009, after the death of Tony Gregory, TD for area over 25 years in Dublin Central. A teacher of English and History for over 30 years, a community activist in her native East Wall, involved with youth activities and an election agent for Tony Gregory and the local independent group. Maureen was co-opted as councillor for the North Inner City to Dublin City Council in 2008. Re-elected in Irish General Election of 2011. Maureen is a member of Dáil Technical Group, the Joint Committee on Foreign Affairs and Trade, Oireachtas Consultation Group on Centenary Commemorations,Constitutional Convention and is chair of Irish Section African West European Parliamentarians Association (AWEPA). East Wall, North Docks, Sheriff Street, Docklands, Markets Area, Smithfield, Stonybatter, Grangegorman, North Strand, Ballybough, Clonliffe, Summerhill, Seán MacDermott Street, Dorset Street & Dublin's North City Centre and Cabra-Glasnevin including Cabra, Glasnevin, Phibsborough, Drumcondra, Navan Road Rathoath, Ashtown and the Phoenix Park. The Tolka river, the Royal Canal and the North Circular Road run across the constituency. 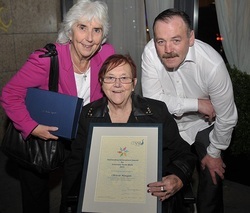 Maureen works hard for Dublin Central constituents and on many social issues, along with the 'Gregory Group'. Committed to Social Justice, Equality and Fairness. Raising many local issues and rights on Social Exclusion, Disadvantage, Housing, Education, Health, Employment, Training and the Environment. Since her election to the Dáil Maureen has raised the shamefully low levels of Irish Corporation Tax and the systemic loopholes, calling for greater Tax Justice and Debt relief in the Global South. Maureen has pursued improving services in Mental Health and better supports on Suicide Addiction to Alcohol Drugs and Gambling. 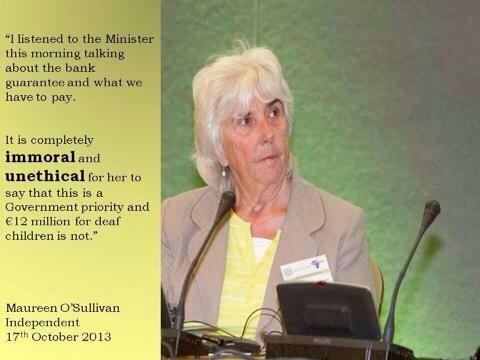 Maureen has determinedly stood with people on issues of Disability, poor recognition and inadequate responses. Maureen has championed the calls for proper plans of Moore Street as an historic quarter dedicated to the 1916 Easter Rising, including the National Monument and the integration of the Street Traders' market. Maureen has led the challenges to current Animal Welfare, calling for outright ban on Hare Coursing. 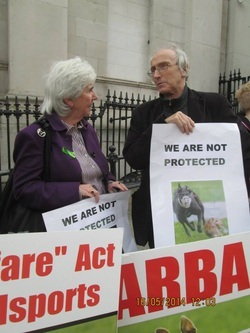 She is President of ICABS (Irish Council Against Blood Sports) and awarded 'Most Compassionate TD 2012' by ARAN (Animal Rights Action Network). 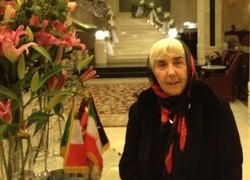 Maureen continues to raise Human Rights issues in Ireland and overseas including the Magdalene Laundries' women, prisoner detention in Northern Ireland, Aslyum Seeker conditions, issues of injustice in Bosnia, in Eastern Europe, in Syria, in Iran, in Iraq, in Bahrain, in Palestine, in Burma, among Rohingya people and across Africa. 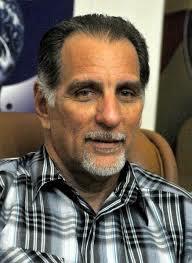 René González denied visa to Britain to attend International Commission of Inquiry on Cuban Five in London on 8-9 March. It is appalling that René is not allowed into Britain as a key witness of the Inquiry. Still hoping a visa will be issued to him, as an appeal is lodged. I'm attending Inquiry and meeting MPs in Westminster tomorrow with Thomas Pringle Independent TD and we will raise issue there. Myself and the 'Gregory' Group are delighted that Mel MacGiobúin was co-opted on to Dublin City Council this evening, taking over from Anna Quigley who had been a hard working Councillor. Very best wishes to Mel from all the Gregory Group. There are still a lot of questions for the Minister to answer, on this latest issue around the Garda Confidential Recepient and many other matters, in his term of office. The Minister needs to give very clear and straight answers to the difficult questions he now faces. 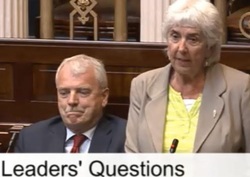 I have experienced in Dáil questioins on relevant areas, the Minister's responses to include much frustrating obscure technical minutiae, retorts and delayed delivery on promises. 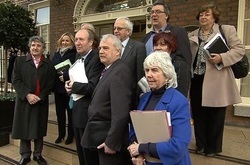 What of resolving the urgent issues of the Magdalene Laundry survivors? 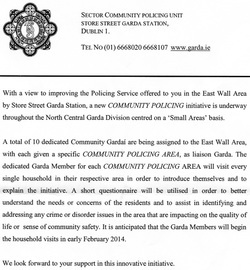 I welcome the new Gardaí Community Policing Initiative in Dublin North Central Division, starting in East Wall area, where uniformed Gardaí will call door to door to homes. I hope it will make a difference and ensure our communities are safer. Following a risk assessment by Dublin City Council’s Flooding Advisory Group, held this morning, at which the effect of predicted tide levels over the coming days was assessed, the precautionary protection measures currently being put in place will remain so, until at least after Saturday’s high tide at 12.18pm. Tomorrow’s high tide is due at 11.30am. The predicted tide levels are marginally lower than those predicted yesterday. The Pearl of Wisdom is the international emblem of cervical cancer prevention. Cervical cancer refers to cancer of the cervix, The disease normally develops over time, starting off with early abnormal‘pre-cancerous' changes to the cells in the cervix. 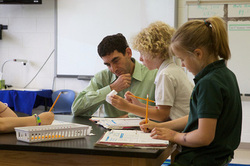 Changes occur gradually, over a period of 10-15 years. 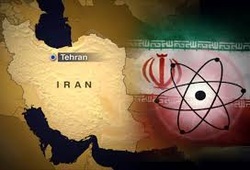 15 Jan Home sales & crime gangs?
' . . . . Noel Dorr, a former secretary general at the Department of Foreign Affairs, yesterday told the Joint Oireachtas Committee on Foreign Affairs said it was a “difficult thing” to do, but that it was right to carefully put across the Irish position on such matters. My friends in Cape Clear, off the coast from Baltimore, Cork are having a real battering with the recent storms, having already been without a boat many days over the Christmas holidays. I know it is difficult in many areas but being on an island adds to the difficulties. There has been progress in highlighting mental health. I especially want to acknowledge the words, the bravery, the honesty of the late Donal Walsh. Very very moving documentary on his life - especially his positivity in face of his imminent death; his call on those with issues, difficulties, problems to talk to someone. Impact of his call may be seen, there having been no reported suicides of young men in Kerry in the six months after his death. 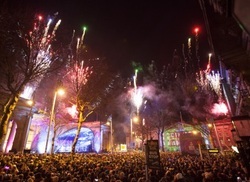 31 December For 2014 - Happy New Year Athbhliain Faoi Mhaise Daoibh ! 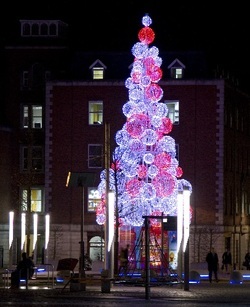 I would like to wish all across Dublin Central, those who read the web site, constituents who contact me, my friends and supporters, the organisations I am most in contact with - very best wishes for 2014. I hope the year ahead will be healthy, in mind and in body, for all of you. I hope you all have a restful and nice Christmas, time for family and friends and time for yourselves. The office closed yesterday evening and will re-open 2nd January. and she keep's on going! A surprise night with family and friends followed in Summerhill to celebrate with Chrissie. 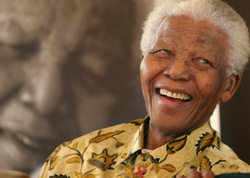 "I hope the words and actions of Nelson Mandela live on, particularly when he spoke about leaving bitterness and hatred behind and accepting and valuing the principle of reconciliation. I hope that his philosophy can be applied and followed in the many conflict situations in the world today." 'INDEPENDENT TDS have attacked the Government parties for not being adequately represented at a debate tonight on the promissory note repayments. 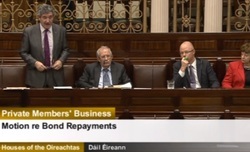 Several members of the Dáil Technical Group and three independent TDs tonight tabled a Dáil motion calling on the Government to ‘burn the bondholders’ or ‘at least ask’ the ECB for a writedown on some of Ireland’s sovereign debt. This is it, this is our focus for the next few days, organising to be outside the Dáil at 6pm next Wednesday, November 27th to support the Technical Group as they put forward their motion that will hopefully begin the process of securing the destruction of the Promissory Note bonds, all €28.1bn. The Irish Central Bank is about to sell off those bonds, quite possibly to some of the very people who were bailed out by the original Promissory Notes. The billions taken in will be destroyed; for the next four decades we, the Irish people, will then be saddled with that debt, plus the interest, an estimated €72bn in total. 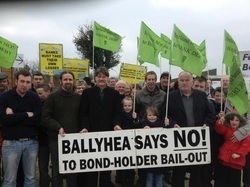 This is your chance to join us in the Ballyhea campaign. Four hours, that's all we ask. 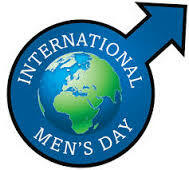 creating greater awareness of gender equality across society. & especially men in the Grergory group!